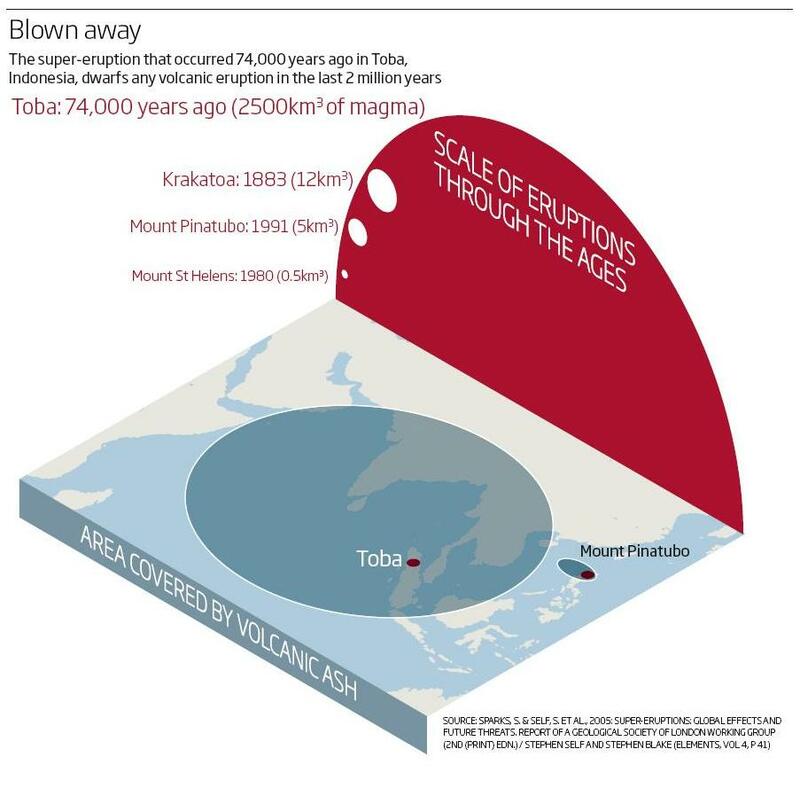 New Scientist’s rather timely cover story this week looks at the eruption of supervolcano Toba, 74,000 years ago and the impact and scale of ash fall-out from it. Toba is a supervolcano on the Indonesian island of Sumatra. It has blown its top many times but this eruption, 74,000 years ago, was exceptional. Releasing 2500 cubic kilometres of magma – nearly twice the volume of mount Everest – the eruption was more than 5000 times as large as the 1980 eruption of mount St Helens in the US, making it the largest eruption on Earth in the last 2 million years. That would be interesting Sacha, they should have gone global with that graphic and compared more eruptions, including Taupo.